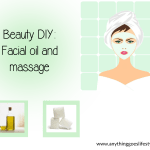 When applying any product or serum to our skin, to ensure we’re getting the best from our products and for our money, we need to massage the products into the skin. Not only will a massage relax the muscles and relieve tension but it aids in detoxing and will instantly boost radiance. Using your forefinger and index finger, with slight pressure tap along your cheekbones from nose to ear to drain away toxins and excess fluid. Repeat this motion along the contour of your eyes. This motion is particularly beneficial if you suffer with sinus problems including hay fever! Using your (knuckles) forefinger and index finger run your knuckles along your jawline from chin to ear for contouring- this will give you definition and ward off the double chin! Don’t forget your neck! Cross your hands over and work the product from the base of the neck to the chin in a sweeping motion. You can’t go too far wrong, the key is gentle pressure, avoid your temples, work outwards or upwards- NEVER downwards. We hope you’ve enjoyed our facial guide! Next week we’ll be taking a look at legs, bums and tums and how the beauty and health and fitness industry can aid us in feeling more body confident. If you’ve any questions you’d like us to put to the experts, send us a message to info@anythinggoeslifestyle.co.uk or send us a tweet @AnythingGoesL!